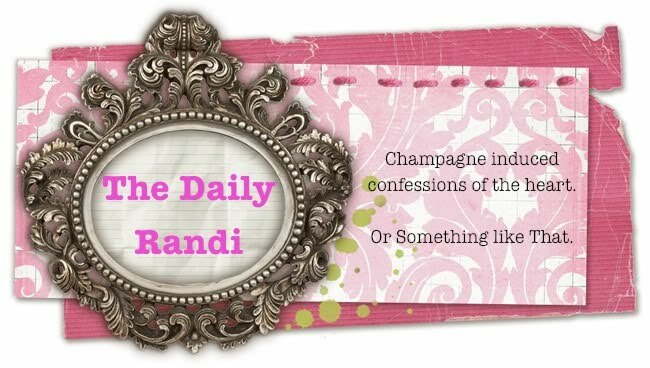 The Daily Randi: It's Not Nice To Fool With Nature, Mother! It's Not Nice To Fool With Nature, Mother! Yesterday afternoon, I phoned up My Mom, to hear all about The Horrible Hurricane. Last we spoke, she still did not have Electricity nor Water, but she told me that she had A Phone. When I told her I knew she had A Phone, she couldn't understand how I could know. And so, I pointed out that I was Talking To Her Via One. Now, however, she did have Electricity and Water. And, still, A Phone! But, just in case she loses power ever again, she had run out and purchased A Battery Operated Television Set. And, "An Emergency DVD Player." Never mind that she does not own any DVDs. At least she has one now, just in case of Emergencies. I told her I had no idea that DVD Players were such A Dire Necessity during A Serious Storm Situation. Here I was, foolishly Donating Blood and considering Signing Away My Summer Break To Help Build Homes In The Louisiana Humidity when all along, I could have just made a trip to Best Buy! "Does the DVD player Float?" I inquired. "Because maybe some lives of those people in New Orleans could have been saved if they only had the proper electronic equipment! They could have hung on to their Emergency DVD Players for dear life! But, I bet most of them still were using VCRs!" That's when my mom told me she had to go. Her Internet was Still Down and she was being forced to Pay Her Bills By Hand! I guess Life In An Exclusive Florida Condominium Community can indeed be Rough.